In this work, we have developed a novel deep learning inverse solution or identification method to determine and identify the impact load conditions of shell structures based on their final state of damage or inelastic deformation. This artificial intelligence approach offers a practical solution to solve the inverse problem of engineering failure analysis based on final material and structure damage state and permanent plastic deformation. More precisely, the machine learning inverse problem solver may provide a practical solution to characterize failure load parameters and conditions based on the final permanent plastic deformation distribution of the shell structure that is under examination. In this work, we have demonstrated that the proposed deep learning method can accurately identify a “practically unique” static loading condition as well as the impact dynamic loading condition for a hemispherical shell structure based the permanent plastic deformation after the impact event as the forensic signatures. 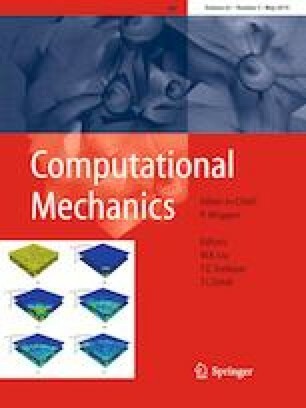 The data-driven based method developed in this work may provide a powerful tool for forensically diagnosing, determining, and identifying damage loading conditions for engineering structures in various accidental failure events, such as car crashes, pressure vessel failure, or thin-walled infrastructure structure collapses. The machine learning inverse problem solver developed here in this work may have potential impacts on general forensic material and structure failure analysis based on final permanent plastic deformations. Mr. G. Chen is supported by a graduate fellowship from Chinese Scholar Council (CSC), and this support is gratefully appreciated.